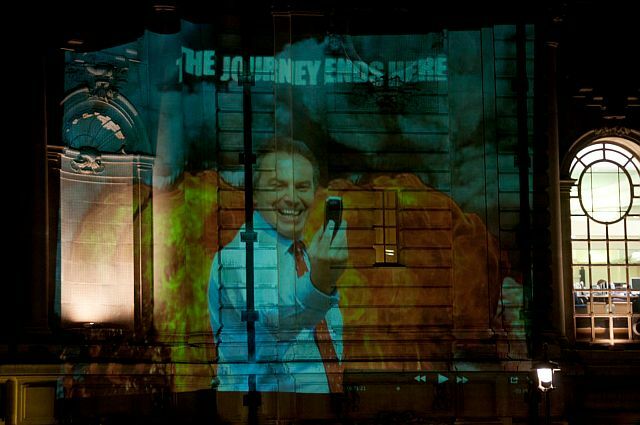 This is the infamous poster of the war criminal Blair projected tonight on to Westminster Central Hall. He appears before the Chilcott Inquiry today at the QE2 Centre from 8am to 2pm and I will be there to give him the welcome he deserves. Sorry, not possible to give him the welcome he deserves. The police will probably protect him. Otherwise he would end up on a stick by the London bridge.